Zoomie zoom zoom — Argh! My face! Evidently, mountain skateboards are a genre (google “mountain long board” for examples). I’m calling out this particular model only because it’s the first brought to my attention, plus the treads amuse me. 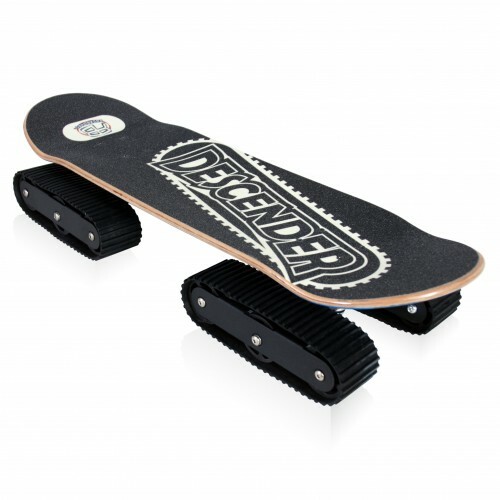 The problem with this thing, I suspect, is that it distributes your weight over so small an area that you’re bound to faceplant if you hit any sort of obstacle, which pretty much limits its usefulness to smooth slopes. There’s nothing in their promotional videos to suggest otherwise. This entry was posted in Not quite a skateboard on November 7, 2014 by stern.